Getting users to download your app is easy. Okay, I might have stretched the truth there. It’s not easy at all, but it is the easiest step towards gaining a strong and loyal user base. 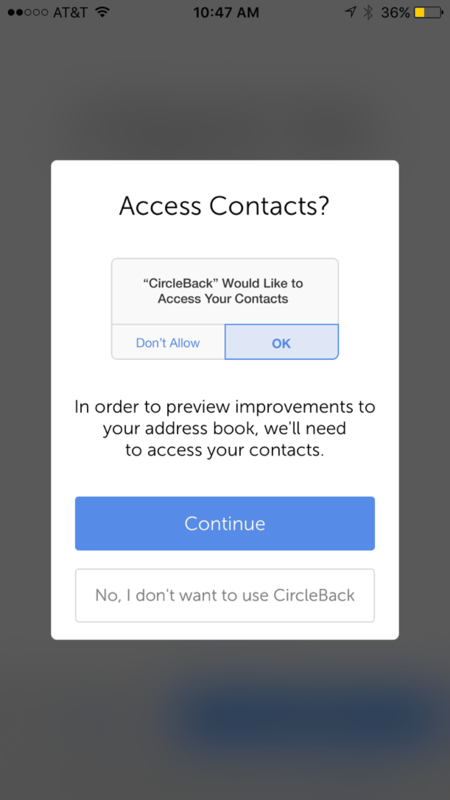 Getting users to continuously use your app is an ongoing battle. But, these engagements are crucial to the lifecycle of your app. Today’s mobile user picks up or glances at their mobile phones up to 200 times each day and 75% of those interactions are just to glance at who called, what meeting is next, or what sale just started. With mobile marketing, you only have few seconds to make or break the relationship with your app users. App stores are extremely saturated. Users tend to install fewer apps and abandon them after only a couple of days. To build a loyal, engaged user base, you need significant acquisition budgets and a constant eye on retention rates. For their December 2015 index, Fiksu pegs the average cost per installs (CPIs) on a monthly basis for iOS CPI at $1.46 and Android’s at $3.34 (Android CPI is rising 144% YoY, with CPI skyrocketing in December). But offering your users choices can help you optimize your user funnel and increase app engagement, giving you a good return on your investment. These choices include anything from allowing users to switch off push notifications to organizing aspects of the app in the order of their priorities. 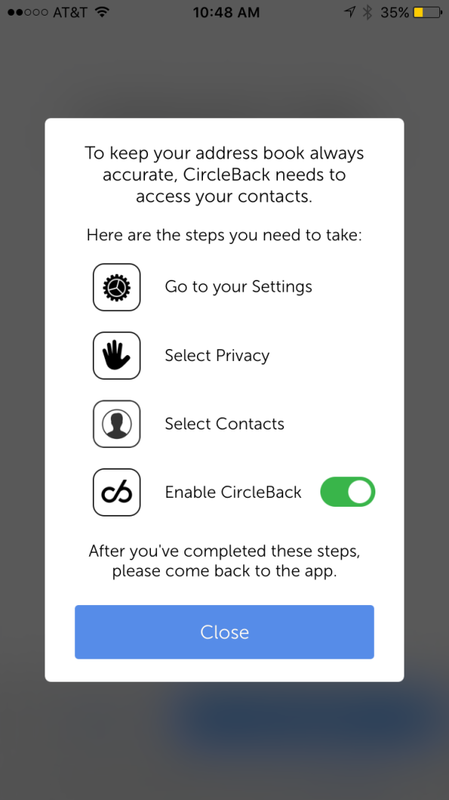 For example, the CircleBack app, which allows you to manage your contacts, personalizes user onboarding based on the user’s actions. Offering choices to your users allows you to personalize the app independently, so that it’s optimized to what’s best for them. Plus, you don’t have to do any guesswork or A/B testing; you can simply observe the choices your users make and move forward from there. 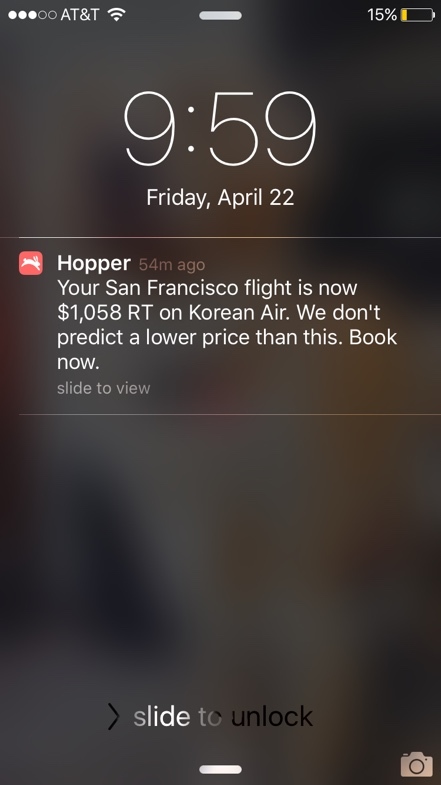 Push notifications are like email marketing, but for mobile apps. However, the main benefit push notifications has over email marketing is that mobile phones are checked much more frequently than email inboxes, so push notifications can make a more immediate impact on your audience. On the flip side, because they are looked at more frequently, traditional batch and blast marketing practices for push notifications can be more damaging than engaging. For instance, in email marketing, a company may send emails that they believe their recipients will be interested in, and then the recipients can choose whether to read it or ignore. But if you apply same rule to mobile push notifications, you are bound to fail because your notifications pop up on their home screen and are disruptive (which is OK as long as they are also helpful and relevant). 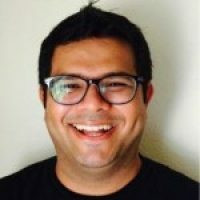 If you use push notifications in your mobile marketing campaigns, you need to understand and respect that mobile devices are one of the most personal devices your users own, and if they feel that you are wasting their time with irrelevant or excessive push-notifications, you may lose their trust forever. Used correctly, push notifications can massively increase your sales and retention levels, as they have done for many brands already. As you’re planning your push notification strategy, consider what notifications your users would appreciate receiving (most likely, it’s not sales messages—unless you have a promotion going on). 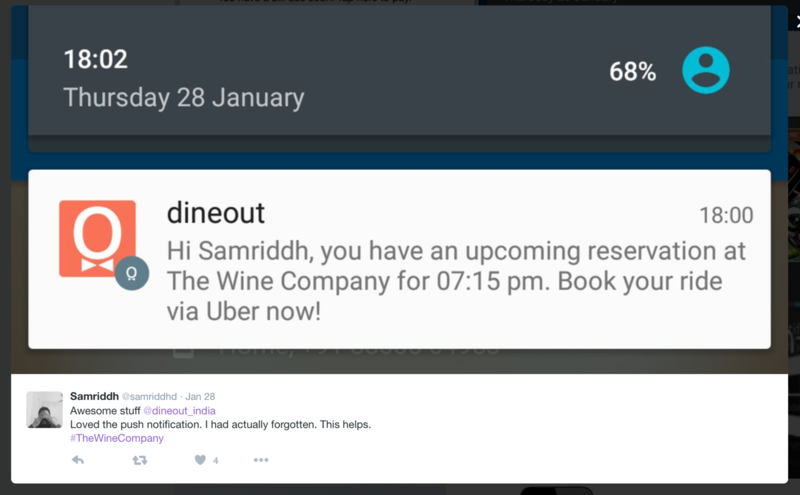 The examples below from Hopper and Dineout use push notifications to provide their users with value, notifying them when it’s the best time to book a flight and reminding them about their upcoming restaurant reservation. Wherever we go, our mobile devices come with us. So it’s no surprise that using a mobile device’s location is helpful for both marketers and users alike. For example, after a user enters store or enters your conference hall, send them a coupon or a voucher for free food. Users expect relevancy and immediate action in these cases. So, you should plan your mobile marketing strategies so that as soon as your user arrives to a location, your app responds by delivering context-driven messages to their mobile devices. 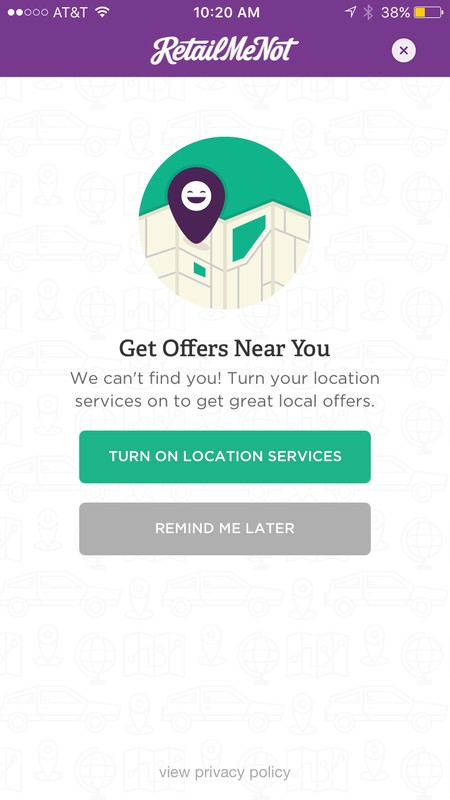 RetailMeNot’s app uses a user’s location to find offers in their vicinity. Some mobile marketers may ignore email, SMS, social, or web channels with a narrow focus on purely mobile app marketing. But don’t forget that mobile apps or devices don’t make purchases; the people using them do. Buyers don’t care about your channel strategy; they only care about receiving a coordinated, contextual experience from you—they care want you to know them and understand what they want. Mobile apps aren’t the only way to communicate with your app users. There are multiple channels available, so use them in conjunction with your app. Use your buyers’ behaviors on one channel to inform your communication to them on the next channel they use. As you’re planning your mobile app marketing strategy, consider what type of content your users will actually want to see. And if you don’t know, just ask them, perhaps through mobile. 95% of consumers said they would respond to an SMS survey request, according to an Ipsos Mori study. Every communication sent to your buyers should be seen as a two-way conversation, one in which your audience and your business can benefit from. What other tips do you have for elevating your mobile app campaigns? Share them in the comments below.